Searching for the Fountain of Youth? Try More Sleep, Less Sun! One pill makes you larger, and one pill makes you small. And the ones that mother gives you, don’t do anything at all.” I remember those Jefferson Airplane lyrics from a past world. Somehow these words are never more relevant than today. Indeed we have many more pills, potions and solutions than ever before for what ails us. To be sure, we are all the beneficiaries of all that is new in healthcare, medication, and technology. Many of these advances have found their way into down line solutions for the challenges faced by plastic surgeons as we address the challenges of an aging population that embraces youth and vitality. Some are exciting and dramatic. Some have yet to be proven. But is seems, as we edge ever closer to Ponce De Leon’s centuries old journey for the fountain of youth, many of the up line causes for aging remain quite the same, and very preventable. As I began a recent trip to visit my daughter, headed down Storrow Drive in Boston, for Logan International Airport. I was struck by the hundreds of young people baking in the summer sun, along the banks of the Charles River, in an area often referred to as Boston University Beach. It was a vivid illustration of how people manage to get 80% of their total lifetime sun exposure before the age of 30. The aging process was taking place right in front of me. The sun is the most insidious, sinister and preventable cause of photo aging of the skin. While passing time with a magazine on my flight, I was fascinated by a statistic that suggested women preferred sleep to anything else on a long list of seemingly far more exciting options. Could that really be factual? To test the premise, I conducted an informal poll among my nurses and patients and indeed it was true. Without sleep, almost nothing else matters!’ In a technologically connected world, where immediate access and accountability has become the expectation, sleep has become even more elusive. Certainly there are many scientific reports of the importance of sleep as part of the body healing process. And since skin is the largest organ in the body, sleep is a critical time for damaged skin cells to repair. Without adequate sleep, the skin ages more quickly. As a Plastic Surgeon, I am always looking for the best solutions for my patients to fix the flaws and address the signs of aging. We always embrace the latest technologies. We have state of the art lasers to erase wrinkles, simulate collagen synthesis and tighten skin. We have the best fillers to restore facial volume lost in the aging process. We have medications and ultrasound to permanently dissolve unwanted fat. But all of our treatments work best when the skin is robust and healthy, so we should never overlook one of the most important prescriptions for men, women and children- all skin types and all ages- The magic bullets—More Sleep, Less Sun. Dr. Martin N. Zaiac from the Dermatology – General, Cosmetic and Pediatric Department of the Greater Miami Skin and Laser Center is also a fan of Velashape. Watch the video to learn about his input on one of Dr. Rochman’s most sought after procedures. Velashape is a growing technique in the world of cosmetic surgery, and Dr. Rochman is more than qualified to help you learn if the procedure is right for you, and to perform it perfectly. 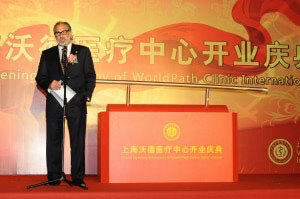 WorldPath Health, Inc today announced the appointment of CEO Guy M. Rochman, M.D. as Assistant Professor of Medicine at the Harvard Medical School. WorldPath Health, Inc today announced the appointment of CEO Guy M. Rochman, M.D. as Assistant Professor of Medicine at the Harvard Medical School. 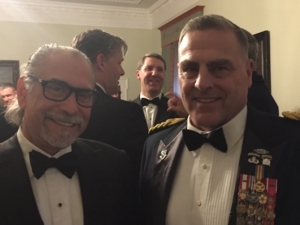 He will continue to serve as CEO of WorldPath Health, Inc.
Dr. Rochman is founder of WorldPath Health, Inc., a leader in international health care, and has served as CEO since its founding. 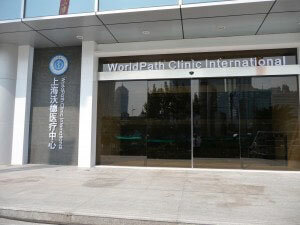 Established in 2001, WorldPath Health, Inc. provides complete and coordinated access to the highest quality healthcare to private patients, and their families from around the world through a comprehensive network of the highest rated hospitals and physicians in The United States, Great Britain, and elsewhere, covering virtually every aspect of medicine. A graduate of Harvard College (B.A.) and Boston university (M.D. ), Dr. Rochman completed Fellowship Training at Johns Hopkins University. He maintains an active practice of Plastic and Reconstructive Surgery in Cambridge and Milton, MA.